The history of Wigan through newspaper reports of the day - including the promotion winning 2017/18 season. 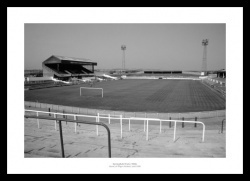 The home of Wigan until 1999. 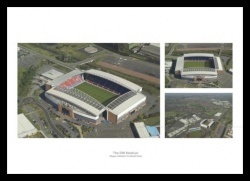 In our Wigan FC football section, you can find Wigan Athletic memorabilia, classic photos and canvas prints, personalised gifts and more. 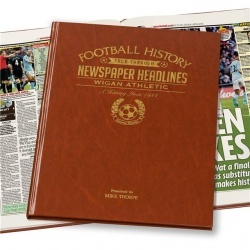 Whether you are a football fan who loves anything to do with Wigan Athletic FC or you are looking for an gift idea or present, then IntoSport has a wide range of top quality Wigan football memorabilia and gifts for everyone.